Our team pride ourselves on our processing speed from application to the final loan payout. As soon as the application is submitted it lands in the hands of one of our highly skilled team who take care of it all for you. Once your application has passed the application stage and payout is due, we make sure that the loan amount will be paid out straight into your account within 24 hours of you’re application acceptance. We are proud to be able to say we can help all applicants no matter what credit history you have. Don’t waste anymore time worrying over you’re credit score apply today. Finances can be scary, no doubt. Unless you’re a professional accountant, then applying for loans, getting credit checks and filing your tax returns probably gives you cold sweats. It’s a horrible feeling being scrutinized by lenders and financial institutions and there’s a ton of legal jargon to wade through in most cases. Worst of all, any mistakes can cost you money and potentially prevent you from finding the financing that you need! This is all certainly the case when it comes to getting a car loan and can quickly become very frustrating and complicated. But unfortunately, it’s simply unavoidable. Chances are that you need a car in order to get around; whether that means ferrying the kids to and from school, commuting to work or just having the freedom to visit friends, to go for days out and generally to have freedom of movement. When you have a car, the world just opens up for you and everything becomes much easier and much more enjoyable. So you want the car but you don’t want to spend a fortune on a loan with bad interest rates, or to deal with all the administration that goes with any type of financing. 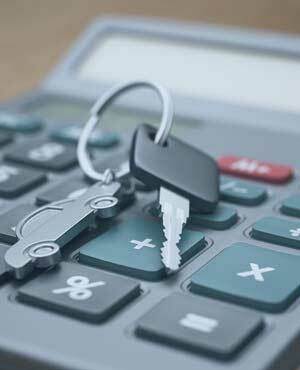 What You Need to Do to Afford Your Car? So what will you need to do in order to get a car loan? First of all, you’re going to need to decide exactly how much money you need and the rate at which you want to pay that money back. This means you’ll need to know how much your vehicle is going to cost and you’ll need to assess your financial position and your cash flow. Then, you’re going to need to find the best lender who suits your requirements. That means you’ll want to find someone who is willing to lend you the money, offers the repayment scheme you need and provides the best value for money. You’re then going to need to actually apply for that loan, which will normally involve providing some form of identification as well as proof of your address.We’ll look at each of these steps in turn and help you to find the right loan for you, at the right price for you! The first thing you need to do then is to decide how much you want to borrow and how much money you have available to repay your loans.This means you need to have an idea of the type of car you want to buy, as well as your current cash flow and expenses. It also means that you need to know how much money you will have available once you’ve bought the car. This last factor is something that a lot of people will tend to overlook, so it’s important you think carefully about it.What’s also useful to think about then is how you can reduce the cost of living both before and after you’ve bought the car. Creating a basic Excel spreadsheet that includes your current income and outgoings is a good way to calculate the money you currently have available. But then you need to create a speculative sheet that will look at your expenses once you have the car. As you can see we can cover a lot of bases this is always growing so if its not listed please let us know and we will see if we can help. Keep in mind that you can bring down some of these costs by choosing the right car. For example, you can decrease the cost of car insurance by buying a car that is less expensive (this will only affect the first party insurance) and by choosing a car that doesn’t have a huge engine/isn’t capable of going that fast. If you have a very expensive vehicle with a very big engine, then this will make you more expensive to insure!Some less obvious aspects of your car can also impact on the insurance too. Likewise, you can also bring down the cost of services and fuel by choosing the right car. Looking at the fuel efficiency for example will immediately help you to bring down the cost of your gas, while getting a newer or more reliable car can help you to spend less on MOT and on servicing. New cars might not require the same MOTs and can actually save you some money that way, especially if you trade them in later. Consider all this when you’re choosing your vehicle as it will help you to get a more accurate picture of what you’re likely to spend. For example, any car that has been modified (with new hub caps for instance) will usually be more expensive to insure. This is because it makes you statistically more likely to have an accident – generally because a lot of ‘boy racer’ types enjoy modding their car. To bring your costs down, select a car with a smaller engine and that won’t be so expensive to repair. Of course it’s not just money though – you also need to ensure that the car you choose will be fit for purpose. If you need a big car to fit in your family and shopping, then you need a big car and that likely means a bigger engine. Sometimes this is unavoidable. Once you’ve worked out exactly how much driving is going to cost you and how much money you have available, you can decide what kind of budget you have for a car and a car loan. The next step is of course to find some cars you want and at that point, you can go about finding a lender.This is where things can get a little more complex and it’s where you’re going to need to put your thinking cap on for a bit to understand all the financial terminology and what it means for you and your day-to-day expenses.There are many different ways you can finance your car and many different options depending on who you are. Our recommendation is to go with an unsecured loan but you might find your circumstances dictate you look elsewhere, so we’ll run through the whole gamut of options. A secured loan is a type of loan that has ‘collateral’. What this means, is that you’re guaranteeing to your lender that you will be able to pay back what you owe by offering up an asset you own in the scenario that you’re unable to pay.The most common asset to choose here is a property. That means that in most cases, a secured loan means that you’re saying the bank can repossess your property if you aren’t able to meet your repayments. This in turn means you can get very good rates and sometimes even with a bad credit rating – because the bank has absolutely no ‘risk’ on its part that you’re going to be unable to pay off your debt.But is this a good idea for you? While it can get you good rates, it does mean that you’re putting your property at risk and this in turn can end very badly if anything unexpected should happen. You never know what’s around the corner and losing your house is a big price to pay – so think carefully before going this route. It’s because of this risk that an unsecured loan is generally preferable. At UnsecuredLoans4u.co.uk, we can help you find some great unsecured loans at highly competitive rates. But we understand this option isn’t for everyone. The reason for this is that you can end up paying more versus a secured loan, or you might not be eligible because of your current credit history. With no collateral on the loan, lenders need to be sure that borrowers are going to be able to pay back the money and that normally means that they need to look at credit history. Buying ‘on finance’ means that the seller is lending you the money. That means you’ll pay a deposit upfront in most cases and will then make regular repayments to make up the difference over time. Often the repayments are comparable to those from a loan and you may even get better rates as the seller of course wants to encourage you to buy their vehicle.The problem with buying on finance though is that you don’t have the same rights or flexibility as with a loan. Most loans will allow you to restructure your repayments or consolidate if you run into trouble. Financing does not normally offer this freedom though and that means that if you can’t make the repayment one month, you can often end up paying a lot in fees and getting into a lot of financial trouble!Improving Your Credit Score If you decide that an unsecured loan is the best option for you, then you’ll need to have a good enough credit score in order to be eligible. We’ve already touched on this briefly but your credit score is essentially a score that reflects your previous financial history with lenders and other financial institutions. In short, if you have a history of paying back loans on time and having a good bank balance, then your credit score will be good and you should have no problem finding an unsecured loan. Conversely, if you have a lot of outstanding debt then you can struggle.Likewise though, there are other reasons that your credit score may be low that might not necessarily reflect previous loans. For example, if you have never owned a credit card or taken out a loan, then you may not actually have a credit score! This may make it hard for you to get financing, even though you’ve never been in debt! One way to overcome this limitation, is to take out a credit card shortly before you intend to request your loan. If you then make a habit of making your repayments in a timely manner on a regular basis, it can help you to build up a good score where you didn’t have one previously. Likewise, you can also improve your credit score by taking out other small loans and then repaying them. Try to pay off any existing debts where possible, keep your bank accounts in the green and avoid any cheques bouncing etc.Similarly, if you have ever shared a property with someone who has a bad credit score, then this might actually negatively impact on your own score. In this situation, two people’s credit history can become ‘linked’ and you’ll need to request that their name be removed from your own score.Making these changes can improve your score to the point where you’re able to apply for an unsecured loan with good rates, even if you previously wouldn’t have been eligible. Another important tip is just to know your credit score and you can get free credit checks from sites like Experian. When you use a tool like ours that searches for loans, the companies involved will often do a ‘soft credit check’ that will involve a superficial look at your credit score. If you decide to go ahead, then a more in depth credit search might take place – and this can actually negatively impact on your score if you get them too often. Finally, you just need to decide on the lenders themselves. This means that you’ll want to compare the different rates available to you and look at which ones are the best for you. There are a few things to consider here and there is no ‘right’ lender. It will all depend on the car you want, on your personal circumstances and the type of loan/repayment structure you need. 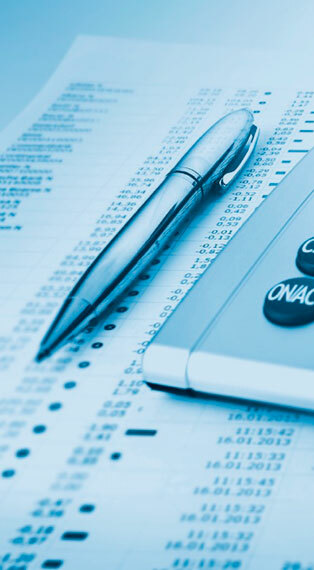 This is why it’s so useful to do your research first and to know your budget, your requirements and your preferred type of loan.From there, you can use a site like ours at UnsecuredLoans4U.co.uk and compare the prices of various different lenders. This will save you a lot of time because you can enter all your details in one place and then see direct comparisons between different companies.It will help to understand the terminology used by these companies when comparing the different offers. To that end…Deposit: This is the amount of money you’ll need to put down in the first place. Many lenders won’t require any deposit at all. Some others might not explicitly require a deposit but won’t be willing to offer you enough on their own, meaning you’ll need a deposit of cash to make up the difference.Repayment Structure: The repayment structure is important because it is what will ultimately dictate whether you can afford the loan with your current cash flow and how long you’ll be paying for. You have two options here: pay the loan off quickly and spend less money overall, or pay the loan off more slowly and thereby ‘feel’ it less as the money comes out of your account gradually.APR: This is the annual percentage rate. In other words, how much does the amount that you owe go up each year. This is important as it is what will allow you to calculate how much you’ll pay in total: this will be the total value of the loan, plus the APR multiplied by the number of years it takes you to pay it back. Again, using a spreadsheet to find the loan that saves you the most money is a good idea.Term: The ‘term’ is the technical term for the total agreed duration of the loan in months.Front Loaded Loans: These are loans that require you to pay off the interest first. That means that the lender will get the money before the car dealership, which may or may not work for you.Fees and Penalties: These include ‘repayment penalties’ which are fees for paying off the loan before the end of the term (because this causes the lender to lose money) and late payment fees. It’s worth checking these to see if one company offers fewer fees than others. You’re also going to need lots of documents to show to the car dealer when you buy your vehicle. For that reason, it’s a good idea to acquire all this documentation before you go ahead and start applying for your loan. This way, when someone asks to see a copy of your ID or a utility bill, you’ll have it ready on your computer to send!In some cases, these documents might not be enough on their own. In this scenario, you might be required to have your copies of your ID and passport verified which you can do at the post office. If your bank statements are online and you don’t have a recent utility bill, then you can ask your bank manager to stamp your printed statement to verify that too.And that’s it! You should now be able to find the most affordable loan and know in advance exactly what you’re likely to pay and whether it will work with your current and future cash flow. It might seem like a lot of work but if you do the preparation up front, you’ll find it isn’t that complicated. And it’s worth it if it means you end up saving a few hundred pounds in the long term!